For vehicles with a tow bar already fitted tow bar racks are a quick and simple solution. These can usually carry more weight and are more stable compared to roof or boot mounted alternatives. 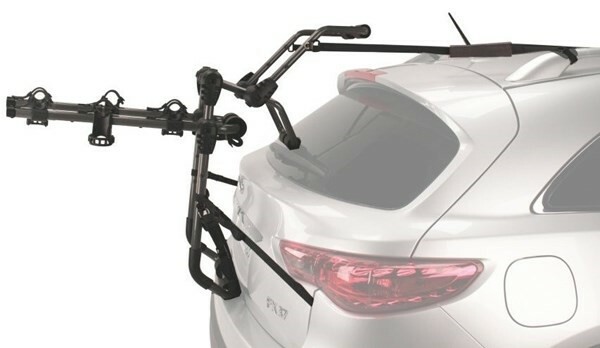 Tow bar mounted racks are convenient when loading as bikes don’t need to be lifted onto a roof or held in place on a boot rack while being secured. 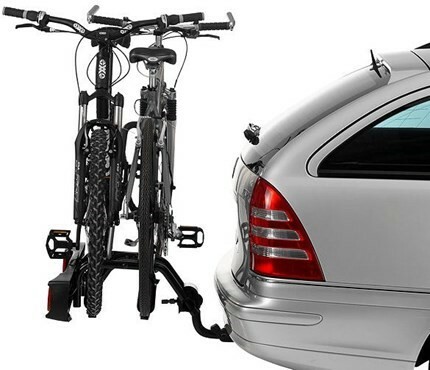 They also often have a tilting mechanism built in, allowing the bikes to be temporarily moved out of the way so that you can gain access to the car’s own luggage space. Boot mounted car racks are highly popular as they are easy to attach and remove when required. The racks are held in place by straps which hook onto the car boot. Many boot mounted racks will also fold flat for easy storage when not in use. Boot racks are generally a one-size-fits-all type design, and can be adjusted and adapted to fit most cars. Whilst their carrying capacity may be lower and they prevent you from accessing the car’s luggage space once fitted, boot racks are usually much less expensive than towbar mounted racks, cand be fitted to more cars, and are easier to store when not in use. 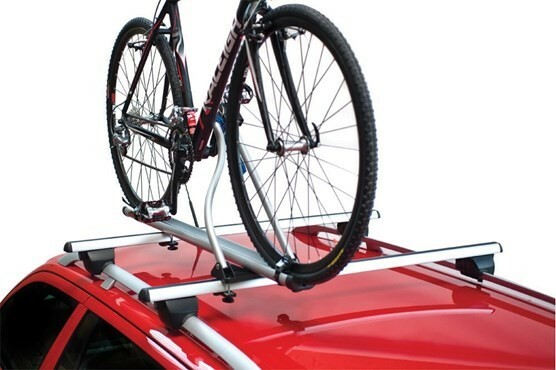 If your car is compatible with roof bars, a roof rack is a great way of transporting your bike. Many roof racks secure your bike via wheel straps and an adjustable bar which attaches to the downtube, and are often also lockable for peace of mind. Remember, to load your bike it will need to be lifted to approximately head height which may not be practical with heavy bikes or tall vehicles. In addition, roof mounted bikes aren’t easily visible while driving, so it’s important to stay aware of any height restructions under bridges or car park barriers. It’s important to remember some car racks can obscure the number plate or lights of some vehicles, which may fall foul of the law. 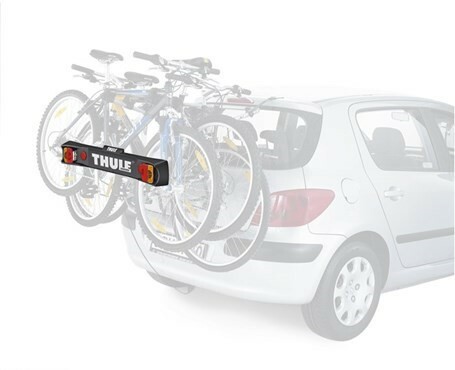 Some of the more expensive tow bar racks from brands like Thule may include a light board and space for a number plate built in. However, there are others which don’t, and it’s very rare to find a boot mounted rack with the same feature.